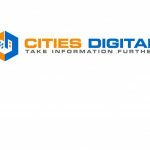 LONG BEACH, CA (December 5, 2012)— Laserfiche congratulates 17 of its customers for being named among the most advanced digital cities in the United States in the Center for Digital Government’s 2012 Digital Cities Survey. Conducted over the summer, the survey examines how municipalities use technology to increase operating efficiencies and realize strategic objectives despite current fiscal constraints. 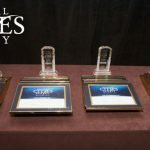 The winners were honored at a special awards ceremony concurrent with the National League of Cities annual conference in Boston, MA, on November 30. 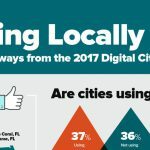 For a full list of winners, visit https://www.digitalcommunities.com/survey/cities/. For more information about the benefits of enterprise content management (ECM) technology for state and local government, please visit https://www.laserfiche.com/en-us/Industry/State-Local-Government. Since 1987, Laserfiche has used its Run Smarter® philosophy to create simple and elegant enterprise content management (ECM) solutions. More than 32,000 organizations worldwide—including more than 5,000 federal, state and local government agencies—use Laserfiche® software to streamline document, records and business process management. As the leading provider of ECM for municipal government organizations, Laserfiche enables users to instantly pinpoint the information they need, collaborate more effectively and complete daily tasks more efficiently. Secure Web access allows governments to easily share information with other agencies and with constituents, while comprehensive security options protect information from unauthorized access or release. Records management functionality also helps compliance with a range of standards, including Department of Defense (DoD) standard 5015.2.